I am a self-professed chocolate snob. I enjoy one piece of heaven every night after dinner. If I am purchasing chocolate for myself, a high cacao content is very important to me. Since I am only having one piece I want that one piece to be full of rich flavor. But I always seem to have a supply of extra chocolate around the house from Christmas to Valentines Day because of course you should never look a gift horse in the mouth. So with this plethora of chocolate taking space up in my cabinet I came up with this deliciously simple 5 ingredient chocolate mousse recipe. You don’t need the most expensive wine to cook with and the same principle applies to chocolate. 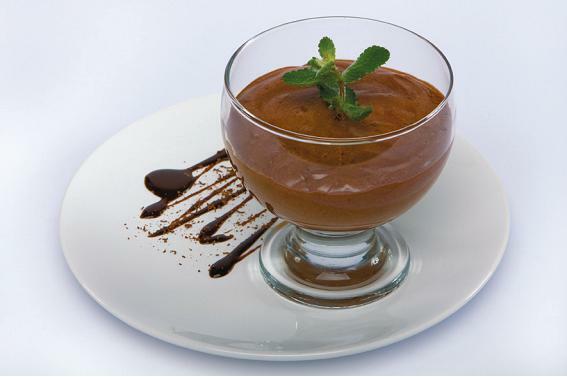 Grab your leftover chocolate from Valentine’s Day and get ready to make some amazing chocolate mousse. While the chocolate mixture is melting whip the cream with sugar to taste and vanilla to very soft peaks on the highest setting with a hand mixer or a kitchenaid. Let chocolate cool until it’s about room temperature and fold into whipped cream. Spoon into 4 martini glasses and chill in fridge for about 30 minutes. Top with a sprig of mint for color, rasberries or some sea salt. Enjoy your recycled chocolate as it takes on a whole new flavor! Do you recycle chocolate in your house? What is your favorite chocolate recipe? I tried the recipe for the mousse. It is delicious! Oh my! This recipe sounds SO very YUMMY! I plan to try! Yes! I do recycle chocolate in my house! I LOVE chocolate and do not waste any! My favorite chocolate recipe is for Chocolate Pecan Pie! This sounds delicious. My favorite chocolate dessert is a flourless chocolate cake which we call Chocolate Eggs because that’s basically what it’s made of.